Solar Trust said today that it will convert a 500-megawatt solar thermal power plant it had been planning in Blythe, California into a 500-megawatt plant made from photovoltaic panels. The shift comes because of "improved market conditions" for building power plants with PV modules. Solar modules from some vendors now cost as little as $1.30 a watt, according to GTM Research. The switch will mean the company has to walk away from a $2.1 billion federal loan guarantee. Switching to PV will also let Solar Trust build the plant in 250-megawatt increments, making financing and planning easier. The 500-megawatt power plant is the first half of a 1-gigawatt development, so it's probably fair to look at this as a 1-gigawatt loss for the thermal industry. Solar Trust hasn't said what happens to the second half of the project, but one can guess. Last year, we predicted that solar thermal power plants would soon begin to face severe competition from solar modules because of the rapid decline in the price of modules and the fact that PV plants are easier to build than thermal plants. 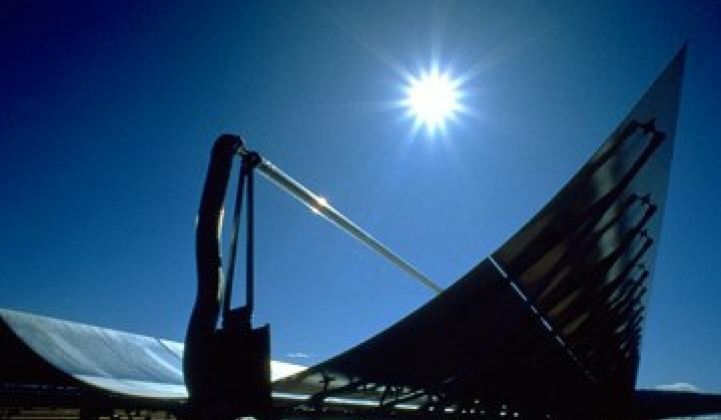 Soon after, solar thermal plants began to run into trouble or get converted to PV projects. Stirling Energy gave up on two thermal power plants totaling over 1.5 gigawatt. NRG Energy converted two thermal projects to PV. Government agencies were helping thermal too: both the California Energy Commission and The Department of the Interior have been approving thermal projects. If you add in the 500 megawatts that got canceled today, a total of 3 gigawatts of solar thermal projects have been converted to PV projects, according to GTM CSP industry analyst Brett Prior. Prior further estimated that the installed cost of a thermal plants might be around $5.79 per watt, while the installed cost for utility-scale PV plants is closer to $3.40. Solar module prices alone have dropped 30 percent so far this year and we're only in the third quarter. While the earlier conversions hurt, today's news is arguably even worse. Solar Millennium, the subsidiary of Solar Trust overseeing the project, specialized in solar thermal. It even created its own collector. Solar Trust had already achieved regulatory approval. It also won a $2.1 billion loan guarantee from the DOE in April to build a thermal plant. Solar Trust now must tinker with its application and walk away from the loan guarantee. This is like your mother entering someone else's child in the talent contest. Solar Trust has an existing JV with another company for PV plants. Solar Trust said it will still consider building thermal plants overseas. Developers can put big tanks of molten salt at their thermal power plants to save solar heat until nighttime and make power then. PV plants can't do that. To store power at PV plants, you need batteries, which can be expensive. Both BrightSource and SolarReserve have touted molten salt. It's great technology. 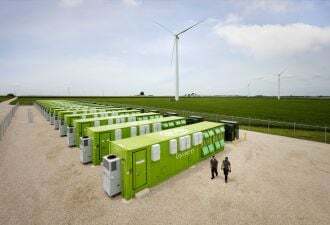 Unfortunately, some, if not most, U.S. utilities have been less enthused about getting energy storage through molten salt now. They like the concept, but aren't always willing to pay for it now. Several companies could be impacted by this. Competitor BrightSource Energy, for instance, is in the midst of raising interest in an IPO. This latest cancelation will likely prompt lots of questions from Wall Street. BrightSource relies on different underlying technology which BrightSource (and others) say is cheaper than the traditional technologies, but many of the PV/thermal issues apply. The California Energy Commission has approved a BrightSource project for PG&E, but BrightSource has two follow-on projects that are still in the approval and financing stages. Equipment suppliers to thermal plants will get hit too. Schott Solar makes the glass tubes that collect heat for these power plants. PV vendors -- perhaps Chinese vendors or U.S.-based companies like First Solar and SunPower -- will benefit.